No, @FareedZakaria, Trump's problems are not due to the difference between govt and business, they're due to Trump and the Rs being awful. No, @bobschieffer, Tillerson did not take the job for patriotic reasons, he did it to help ExxonMobil and Putin. No, @benfergusonshow, a normal son with any humanity would not defend his father for equating Nazis with non-Nazis. We. Need. Better. TV. Personalities. Fareed ("Trump truly became President today") Zakaria and Bob ("any joke about him being old Charlie Pierce wants to throw out") Schieffer tiptoe around anything insinuating that there is actual malice behind Republican actions, and frankly, can't acknowledge that Trump is not a cause, but a symptom, of what the Republican Party has become since its adoption of Kevin Phillips' Southern Strategy in the '60s. 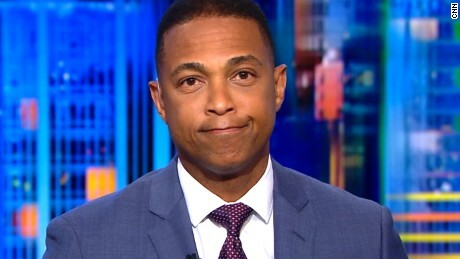 To his credit, Don Lemon is one of the few mainstream TV personalities that can go there every now and then, though he won't call out "centrist" guests like Schieffer or Zakaria on this, and CNN keeps having him invite right wing chronic liars like Ben Ferguson even though they add nothing productive to a conversation. Any writer or podcaster in our sidebar would provide better insight on television than any of the above. And if TV won't hire them, the Democratic party should. Hillary Clinton quoted Crooks and Liars' Karoli Kuns in her book, but didn't even mention her by name. Why wouldn't Hillary's PAC or another Democratic organization or candidate reach out to Karoli, whose post about Hillary and her e-mails was one of the most touching things I read in the 2016 election? But ideally, she'd be producing for or appearing on CNN. But these things never happen, because they make too much sense.